Innovative Design Style - Create Immediate Recognition with Signature Design! Leverage brand assets to control and create the right kind of impact on your potential clients, customers, partners and investors. Growing your business, expanding your brand, or starting a new company is a process not to be embarked upon without an effecient branding strategy. Our print work speaks for itself. From your screen to paper or just about any medium you could request, we produce the elements your business needs to thrive in the physical world. 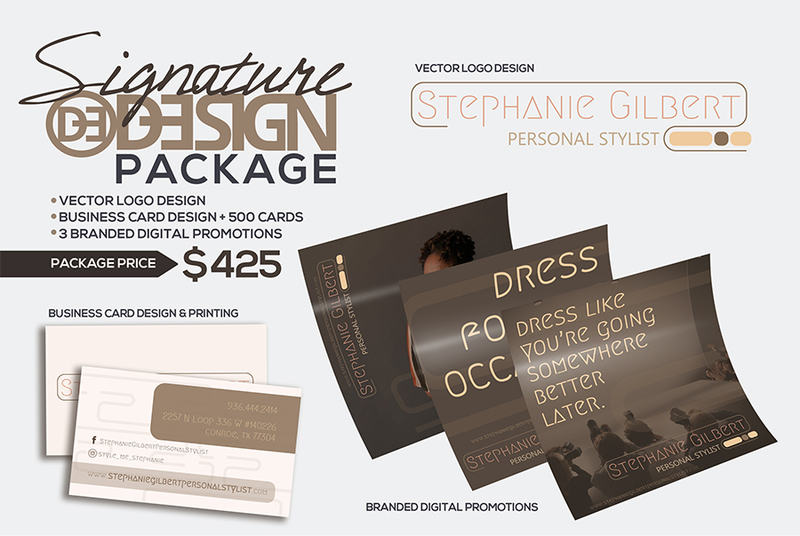 Business Cards, Postcards, Invitations, Banners, Posters, and more. Signature collaborations guide your vision from initial concept to execution across all platforms. Innovative Design Style (IDS) is a full service creative agency. We specialize in collaborating and working closely to exceed expected design needs, meet project budgets, accommodate tight deadlines and to execute signature ideas. Signature collaborations take your vision from concept to an array of different mediums from print and digital to packaging design. Apply your brand to every facet of your business – business cards, print ads, social media posts and more. The design possibilities are endless. Our passion is creating signature brand images that look amazing at every angle. From a complete stationery suite to posters, brochures, shirts and even vehicle wraps. Good brands fulfill an immediate need, but great brands deliver valuable solutions and signature experiences. Our websites building process focuses on modern functionality. From interactive maps and custom contact/submission forms, to e-commerce solutions and digital shopping carts, our skillset covers the latest and most relevant tools and utilities to empower your business online. Book Your NEXT Design Project Today! IDS is your partner in design. Whether your organization is large or small, we have the tools and experience to make your project a success. We create and provide design and print solutions that meet your specific needs. You are part of the process! We make that process simple. Contact us today and inquire about the type of design you need. If you are not exactly sure, we appreciate the truth and will do our best to educate you on our services and design types as well as consult, suggest and advise. Although we service and brand medium to large companies with established budgets, IDS also continues to advance as a high quality and affordable solution to small business owners who require signature design. An effective brand strategy gives you a major edge in increasingly competitive markets. Your brand strategy is what, how, when, where and to whom you plan on communicating and delivering on your brand messages. Where you advertise is part of your brand strategy. Your distribution channels are also part of your brand strategy. And what you communicate visually and verbally is part of your brand strategy, too. By definition, brand strategy is a long-term plan for the development of a successful brand in order to achieve specific goals. Growing your business, expanding your brand, or starting a new company is a process not to be embarked upon without an efficient branding strategy. Innovative Design Style has a passion for creating signature brand identities that make complicated or niche products and services easier to understand, identify and recognize. Impeccable work, R.Jenkins is truly the person to make contact with. Innovative Design Style's work speaks for itself. Every project has been masterful, whatever your vision, IDS will bring it to life. What I value most about Innovative Design Style is beyond providing dynamic fine art, graphic design, and merchandising, IDS is experienced in marketing and branding. This means IDS consults based on a strategy to achieve the customer's desired outcome, not just its artistic vision. When it comes to closing the deal and making the sale, a design firm with an extensive marketing and branding foundation makes all the difference! See an inkling of the work IDS has done for TaylorAdams Marketing and some of its clients. Innovative Design Style has enhanced our web presence and marketing material more than any one person or company has done since we launched our company. Their creative and attention to detail has allowed us to begin building a recognizable brand. I highly recommend this company! ~Kareem Rogers, Founder at Greatness Is In You! Rebekah is a very talented graphic artist. Rebekah has outstanding organizational skills and is able to successfully complete multiple tasks with favorable results despite deadline pressures. Rebekah has created several logo's and marketing materials for my business. She is detailed oriented, meticulous, dependent, and consistent. She is my go to referral when I know someone needs a graphic designer. I personally call her a graphic artist because of her ability to create amazing art pieces and her mastery skills of Adobe Illustrator and Photoshop. I really love the presentation of the video insertion...looks great. I'm really happy with the site in general, you are the site development guru!!! Thanks again. Copyright © 2019 Innovative Design Style. All rights reserved.